Find 123 of the best acoustic bands for hire at Alive Network. Ideal for outdoor entertainment at wedding receptions and summer garden parties, our acoustic artists offer the perfect laid-back afternoon entertainment. Find roaming bands, acoustic singer guitarists, Mumford & Sons style wedding bands, duos, trios, wedding singers and even Dixieland Jazz bands. Need help finding the perfect acoustic band? If you would like help selecting the perfect acoustic artists for your event, simply give us a call or submit the quick enquiry form below and one of our talented entertainment coordinators will be happy to assist. The Harrisons are a young & cool acoustic duo who can perform quiet background or upbeat material with music from Stevie Wonder, Robin Thicke, Kings Of Leon, Amy Winehouse & many more! Safe, Secure Acoustic Band Hire Backed By 24/7 Cover! Aside from finding some of the best Acoustic Bands in the UK and getting expert advice from our friendly staff, one of the main reasons to hire an Acoustic Band from Alive Network Entertainment Agency is security. We ensure your booking is covered 24/7 against any eventuality, so that no matter what, you can enjoy your event without worrying about whether your entertainment will turn up. If your band is ill or unable to perform, our team will be on hand to source a suitable replacement even out of office hours and at short notice. Imagine having to do that yourself!? 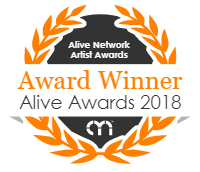 Established in 1999, Alive Network has grown to become the UK's largest live entertainment agency and one of the leading online entertainment booking services in the world. We specialise in wedding entertainment, party entertainment and corporate entertainment, trusted by companies like Apple, Mercedes-Benz, Microsoft, Coca-Cola & Nike, and we have helped over 110,000 customers to hire the perfect live entertainment for their events. 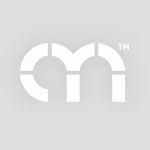 We are formally partnered with BIMM, the largest and leading provider of contemporary music education in the UK and Europe, ensuring that we are able to bring you the very best new talent. As one of the leading acoustic band agents our five star booking service ensures hiring an acoustic artist is easy and trouble free, with every booking backed up by a secure contract and 24/7 customer support. By booking with a trusted music agency you'll have the peace of mind to get on with enjoying your event!